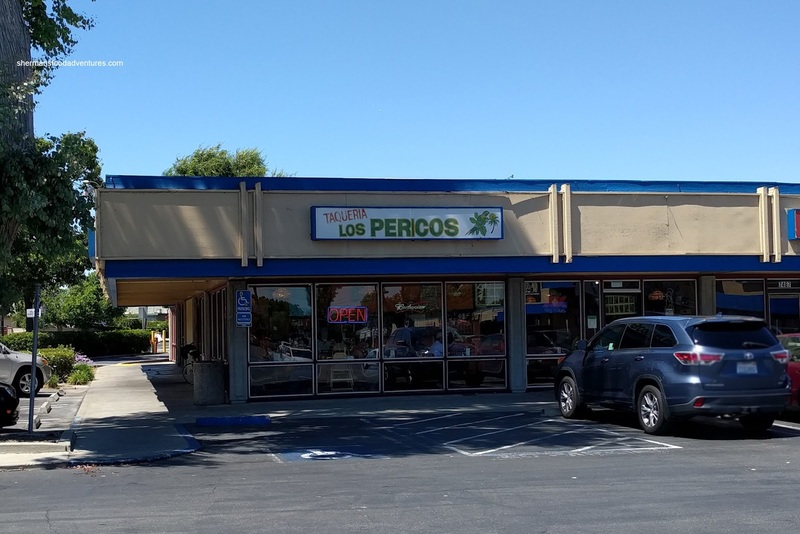 Originally, we were planning to visit the Gilroy Outlets while in the Bay Area, but we were unaware of a new location that was closer. Staying at my cousin's house in Union City, it was only a short 30 minute drive to the Livermore Premium Outlets. We ended up going right when it opened to score a parking spot and to escape the craziness (much like all of the other premium outlets). 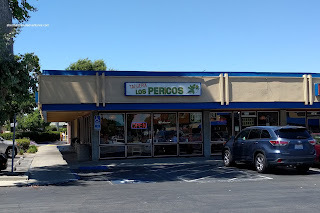 After a snack at one of the food trucks, we were still hungry from the shopping, so we headed over to nearby Dublin for some Mexican eats at Taqueria Los Pericos. Before we got our eats, we helped ourselves (a few times, LOL) to the complimentary Tortilla Chips and the accompanying condiment bar. Although somewhat greasy, the chips were light and crispy. It went well with the fresh and bright salsa which was only mildly spicy due to the conservative amount of finely diced chili peppers. 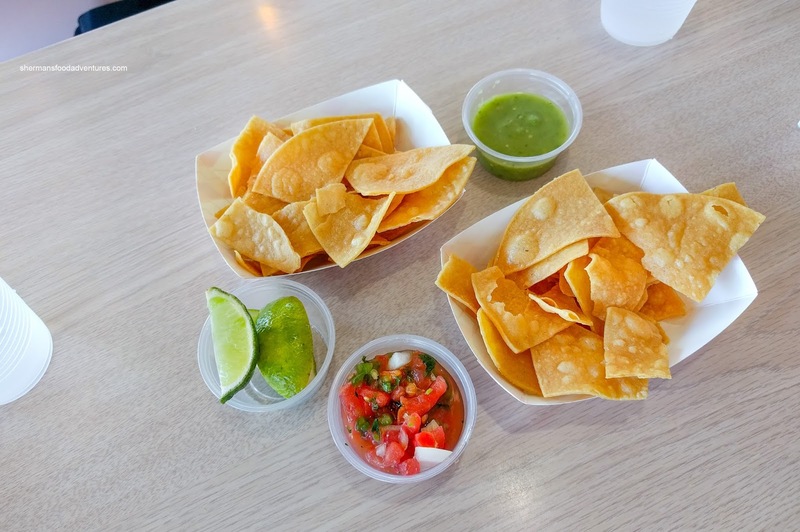 I personally loved the tomatillo sauce as it was also bright with a light level of spice and tartness. 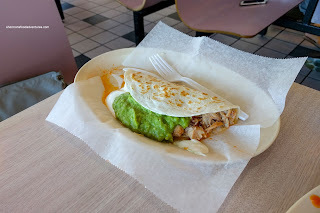 For my daughter, she had the small Quesadilla with chicken, sour cream, guacamole and salsa. Normally, she doesn't finish her food, but she dusted this one off quickly due to the generous amount of tender chicken, bright salsa and fresh guacamole. My son had some of the Tacos consisting of chicken, beef and beef tongue. We were not impressed with any of them since they sauced them for us. Not sure why they did that since all of them became mushy and wet. 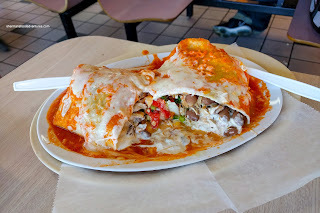 The chicken and beef were okay since they were dry enough to accept the sauces, but the overly wet lengua combined with the sauce became very messy and impossible to eat in one piece. I wished they had finished off the tongue on the flattop. Viv and I shared the Wet Super Burrito consisting of chicken, beans, rice, sour cream, cheese and salsa topped with more cheese and salsa roja. This was good since the amount of meat was also generous while the ingredients were fresh. Loved the bright, tangy and mildly spicy sauce as well. This was probably the best item we had and it was definitely worth the money. 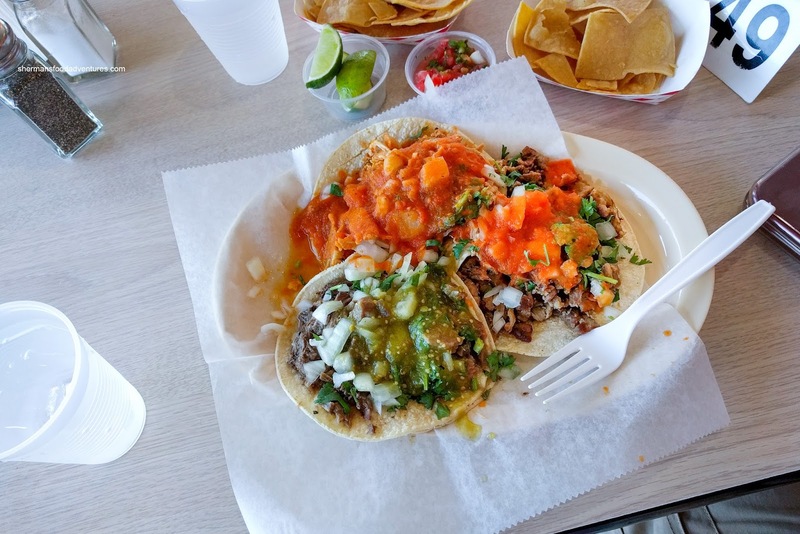 However, the tacos were sub-par.